A move to Livermore, California may be in order. With a population of around 90,000, Livermore is a quaint town in the eastern Bay Area that has a lot to offer you and your family. Livermore is the perfect escape for anyone looking for a quiet place to settle down. We’ve done our research and put together a list of the top five reasons you should move to Livermore, California. If you are planning to move to the Bay Area, we highly recommend you take the time to read this list! Already In Love With Livermore, CA? See More Homes For Sale! When Livermore was first settled in the 1840s, it was established as an agricultural town. In fact, the town is even named after local rancher Robert Livermore. As such, Livermore has a strong agricultural history that can still be felt all across the city. First-time visitors are stunned at the city’s small-town feel. Despite becoming a largely suburban city that boasts many high-profile activities and locations, Livermore hasn’t lost its neighborly atmosphere. Livermore still retains vestiges of its former agricultural and ranching glory. No visit to the city is complete without visiting some of its famous ranches. What’s more, if you move to Livermore by June, you will be able to experience the World’s Fastest Rodeo, which has been held in Livermore since 1918. In addition to all of this, Livermore offers residents a prime location to buy fresh and local produce. The Livermore farmer’s market is full of healthy options for you and your family. Unlike other cities in the Bay Area, Livermore has a mix of blue-collar and professional-grade workers that may be more attractive to middle class outsiders. In short, Livermore is the perfect “laid-back” California town. As a resident of Livermore, you will have access to the WHEELS bus system, which will take you throughout Livermore, Dublin, Pleasanton, and the surrounding areas of Alameda County. This bus system is connected to Bay Area Rapid Transportation (BART) for greater access traveling across the Bay Area. Another reason Livermore feels smaller than it really is that it enjoys a relatively low crime rate when compared both to California and the United States at large. Overall, Livermore has a crime rate of 25 crimes per 1000 residents, but the violent crime rate is only 2/1000. This 1/500 crime rate positions Livermore as one of the safest towns in the Bay Area. I’d love to work with you to find the perfect home in Livermore! Contact Me! If you are a wine aficionado, there’s a chance you already know about Livermore—and already want to move there. That’s because Livermore is home to some of the oldest vineyards in California. With more than 60 total wineries and around 96,000 acres of wine grapes, Livermore is truly a jewel of California viticulture. In Livermore’s youth, the wine industry helped shape the city and attract residents to the area. In fact, the Livermore Valley American Viticultural Area (AVA) played a defining role in the development of the California wine industry. The town’s founder, Robert Livermore, planted the first commercial vineyard in 1840. Following this, pioneers from all across the United States traveled to Livermore to join in on the wine cash cow. Today, wine tours are available at several of Livermore’s wineries during the summer. These tours include tasting samples of Livermore’s finest wines. Popular wineries such as 3 Steves Winery offer friends the opportunity to picnic in their gardens while sipping on their fine, Livermore wine. This is the perfect way to spend an afternoon in the story city that helped make California what it is today. These wineries are also perfect for wedding ceremonies and engagement parties. Couples in Livermore know that they always have reliable drink for their big celebration. But these wines aren’t famous just in Livermore. Livermore wines are known across California and around the nation as high-quality drinks that offer great taste and good spirits. Tourists from around the nation come on extensive wine tours of the Livermore Valley Area. This makes Livermore the perfect place to spend a date with your special someone. There’s nothing classier than sharing a romantic evening with fine Livermore wine. Perhaps that’s why more and more couples are choosing Livermore to settle down and start their families. 3) Plenty of Outdoor Activities. Residents love the stunning weather and unbeatable outdoor adventures in the Livermore Valley. With average highs of 72 degrees throughout the year, Livermore is the perfect place for people who wish to avoid the cold. What’s better is that Livermore has plenty of places where you an enjoy this nice weather with family and friends. The Sycamore Grove Regional Park is one of the most popular outdoor destinations in the city. With several paved and dirt trails available for walking, it’s the perfect place to get a little exercise. The little ones will enjoy seeing the diverse wildlife that dots the area. Trails at the Sycamore Grove Regional Park range from flat to steep so there’s something for everyone—no matter how adventurous you feel. Looking for something a little more complex? Livermore is home to some of the state’s best golf courses! Golfing enthusiasts from around California come to Livermore to play on some of the city’s most beautiful courses. The Poppy Ridge Golf Course in Livermore is known for its extensive green courses and its entertainment options outside of golfing. While serious golfers enjoy the courses and love the feel of the green, their friends and families fall in love with the full bar Poppy Ridge offers patrons. With all the drinks you could imagine, it gives you a golfing experience like no other. What’s more, Poppy Ridge is one of the many outdoor venues in Livermore that hosts periodic concerts. You and your family will love the chance to enjoy fantastic outdoor music. In addition, you will love the fantastic Fourth of July party held in Livermore. Hosted downtown, this party is a city-wide spectacle that includes great camaraderie and fireworks like you’ve never seen before. It’s clear that Livermore is a great place for anyone who wishes to get things done and enjoy the outdoors. Looking for the perfect home in Livermore? I’d love to work with you! Contact Us! 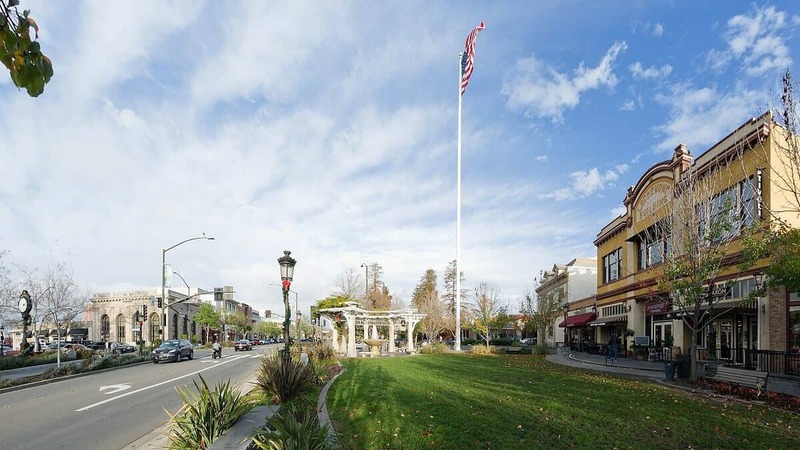 Downtown Livermore is full of boutique shops that you are sure to love! With restaurants, art galleries, jewelry stores, and more, Livermore boasts a downtown shopping scene that is truly unique. Livermore shop owners are always happy to give you the best shopping experience. Known for their hospitality and expert advice, these individuals are the heart and soul of downtown Livermore. And they truly have a lot to offer! Looking for a relaxing getaway? Consider going to Affinity for Beauty and Wellness Spa. One of the best spas in Livermore, you will receive royal treatment and watch all your stress melt away in the space of an afternoon. Carpet One Area Rugs and Home Décor is the perfect place to get your flooring needs. With a variety of styles, you will be able to furnish your newly-bought Livermore home just the way you want it. Truly, no matter what you are looking for, Livermore has it all. And if it doesn’t, well, San Francisco does. That’s right. Livermore is close enough to San Francisco for convenient shopping. That means you will never have trouble buying exactly what it is that you need to buy. Situated close to major San Francisco retail outlets, Livermore is the ideal location for those looking for big city amenities with a small-town feel. Because of this location, Livermore is recognized as a prime shopping location in the eastern Bay Area. Whether you are shopping for yourself, your family, or for friends, you won’t be disappointed. Take advantage of this by choosing to live in Livermore today! Livermore is perfectly situated at the eastern end of the Tri-Valley region. Truly, the city has a prime location that cannot be ignored. Located just 35 miles from San Francisco, Livermore is close enough to the big city so that you will never feel bored. Make San Francisco the perfect weekend vacation. Your kids will love seeing all there is to do in California’s flagship city. With close proximity to a variety of cultural communities, including Chinatown, your family will have several opportunities to learn and grow with people from all around the world. Livermore’s prime location also makes it more accessible to the Oakland, San Francisco, and San Jose airports. This is especially important if you are involved in business that keeps you moving. Convenient access to the airport is perfect for anyone who needs reliable air travel for their job or business. Furthermore, even if you don’t work in Livermore, you will be able to conveniently commute to work via Highways 84 and 580. Many businesses are located off these main routes, meaning you won’t have to stress to get to work every morning. What’s more, as part of the Bay Area, Livermore is close to several prime beach locations that are perfect for summer getaways. Your family will love traveling to California’s world-famous beaches. Enjoy the amazing feel of the ocean breeze as you spend the time of your life with your family. And when you’re ready to go home? Livermore isn’t very far away. Make traveling a regular option by living in one of California’s best-situated cities. Still not convinced? While these five reasons are more than enough to move to Livermore, California, they are hardly everything. What if I told you that Livermore is also home to some of the Bay Area’s best schools? What if I said that the many out-of-class programs, camps, and summer schools make the city a prime place for your child to get her education? And that’s not all. Livermore boasts many child-oriented parks, stores, and venues that are perfect for giving your child a break from the daily grind of studying. Simply put, if the city isn’t good enough for your child, it’s not good enough for you. This fact influences each of the top five reasons you should move to Livermore. So don’t just see it for yourself. If you are looking at cities in the Bay Area and think Livermore might be for you, plan you and your family a great vacation. There are several things to do in Livermore, even as a tourist. And, hey, while you’re at it, you can take a look at the spectacular new subdivisions that are springing up all around the city. You are sure to find the perfect future home for you and your family. And your children are sure to love it. It’s pretty simple. 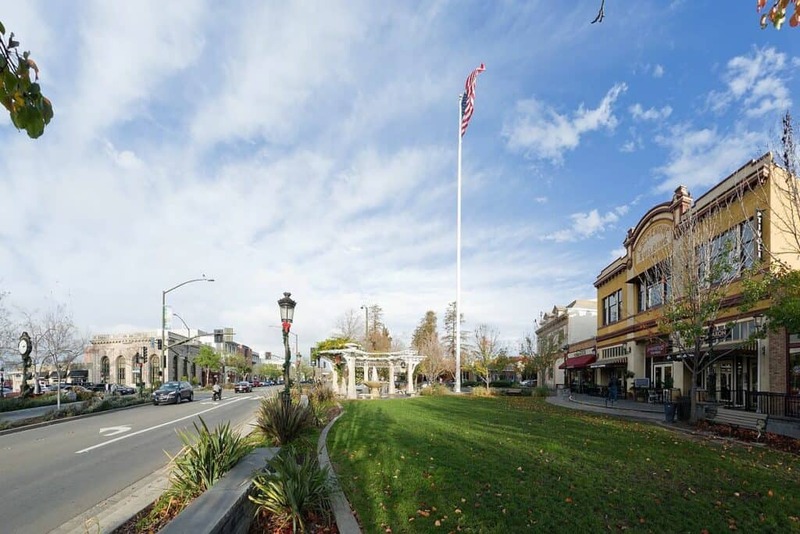 A move to Livermore, California is a no-brainer for anyone looking for a small-town, family-oriented environment with big city amenities. Because Livermore combines the past and the present better than any city in America. With hundreds of thousands of acres of vineyards, ranches, and farmland, the city is a great reminder of California’s storied past. It’s several great parks, shops, and businesses are pillars of a new age. It’s clear that Livermore is a city racing toward the future. Despite this, it carries with it all the splendor of the past. What’s even better is that Livermore is part of the Tri-Valley Area. This area, surrounding the major cosmopolitan city of San Francisco, is one of the best to live in in all of California. Access to unlimited shopping, travel, and cultural landmarks should get you excited about a potential move to this historic California city. That’s why you should absolutely consider moving to Livermore today! So what are you waiting for? Reading about Livermore is one thing, but visiting it is another. The time is now to take your trip to Livermore and experience it for yourself.